I push all the furniture into the dining room, pull down the paper background, add lights, and voila! 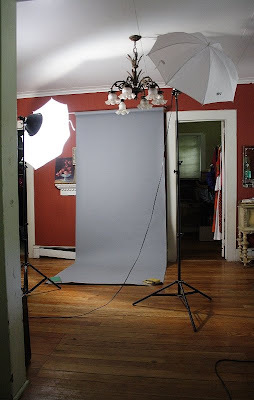 A photo studio! And here's the result. This was the model who was out yesterday, in The Pretty Woman dress. I'm really enjoying this blog Bettye! Why, thank you, Miss Jayne! I am actually finding it more challenging than 365-days-in-islip, when I thought it would be easier. 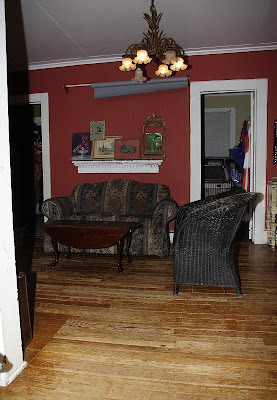 Mostly I'm just afraid of showing the really awful parts of my house!